Oyo State government said it has presented a cheque of N5m to the family of late Chief Adebayo Faleti as part of efforts to support his family for a befitting burial. Commissioner for Information, Culture and Tourism, Mr. Toye Arulogun said this in a statement made available to DAILY POST. He enjoined stakeholders in theatre arts, culture, broadcasting and Yoruba literature to attend the various events scheduled as a befitting mark of honour and to pay their last respects to a worthy ambassador of Oyo State. 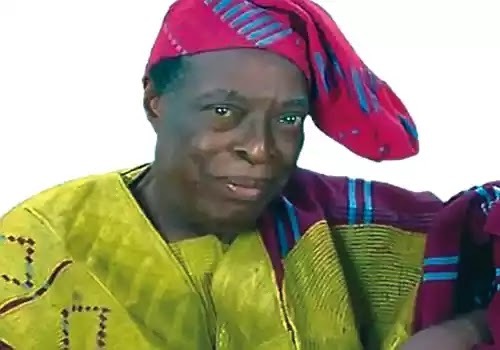 Mr. Ayoola Faleti who spoke on behalf of the Faleti’s family, thanked the state government for the “generous donation and support” towards the burial of the veteran broadcaster and actor. He said that the Faleti family will forever be grateful to the Ajimobi-led administration for the gesture.